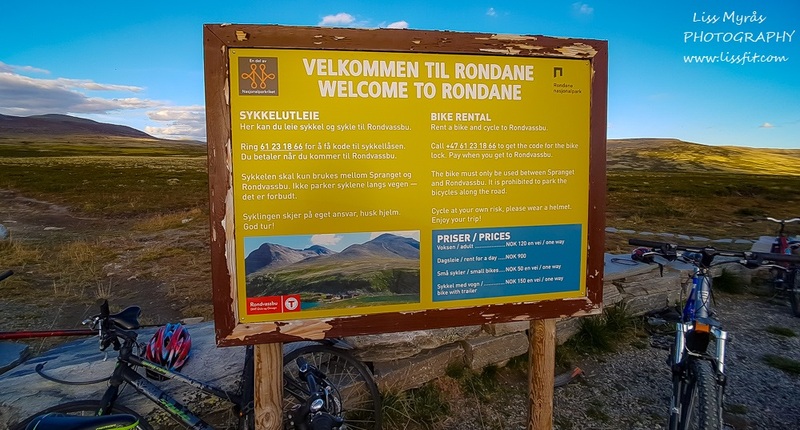 Last summer visit in Rondane I biked and hiked up to this awesome National Park and to the very peak of Veslesmeden (2015 masl).. some truly gobsmacked days to remember. 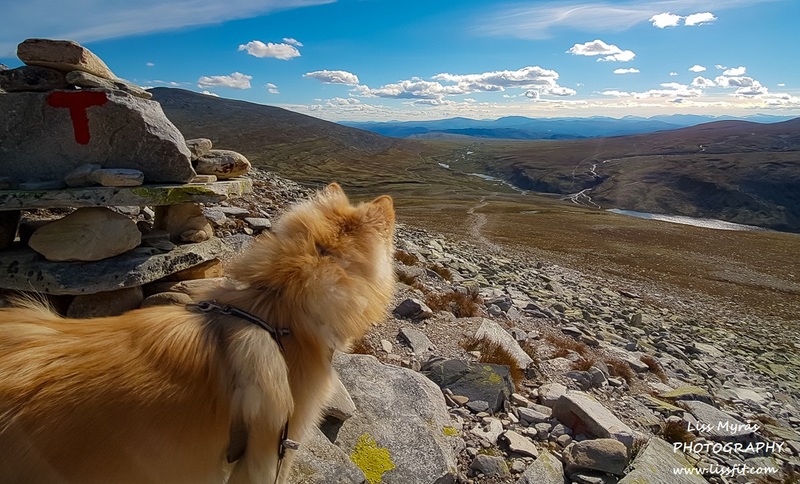 Now, this summer me and puppy woke up early in our little mountain cottage with a new challenge, to hike up yet another 2000-peaks in the area – we where aiming for Storronden (2138 masl), the second highest peak in Rondane National Park. 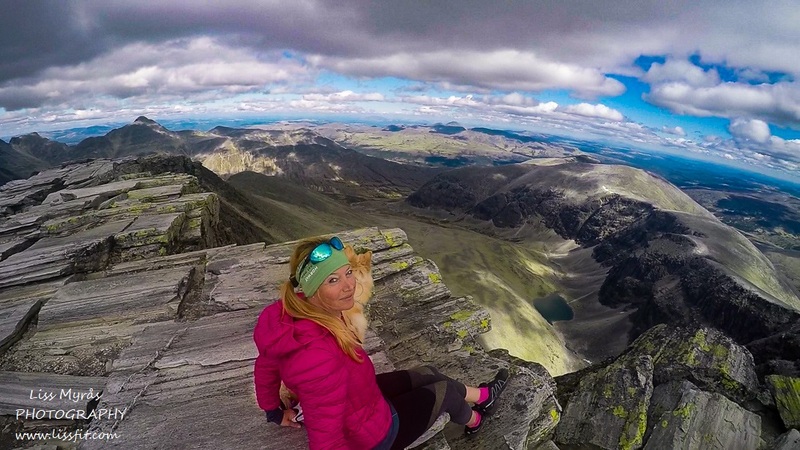 My hiking buddy Jenta was still a puppy, so I would carefully keep an eye on her in case this hike/climb would become too much for her. 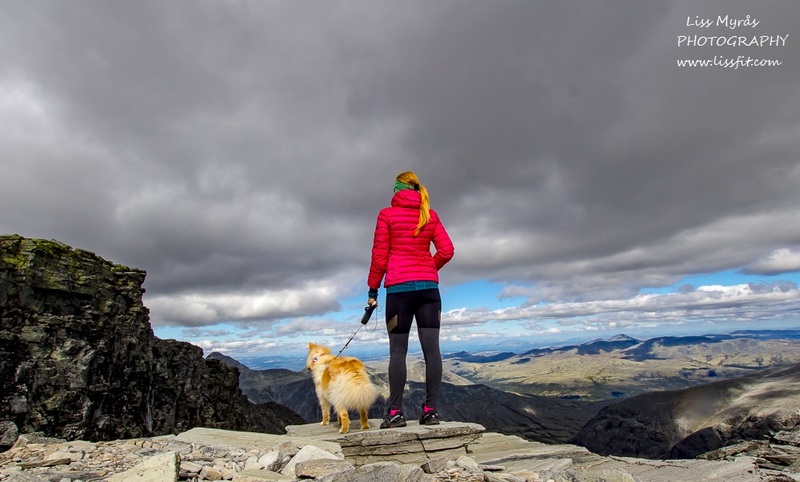 She had been hiking around Lofoten with me all summer without any problem, but this hike would be different, much looonger, hiiiigher and full of scree – and yes, yet another super-hot hike under the sun! 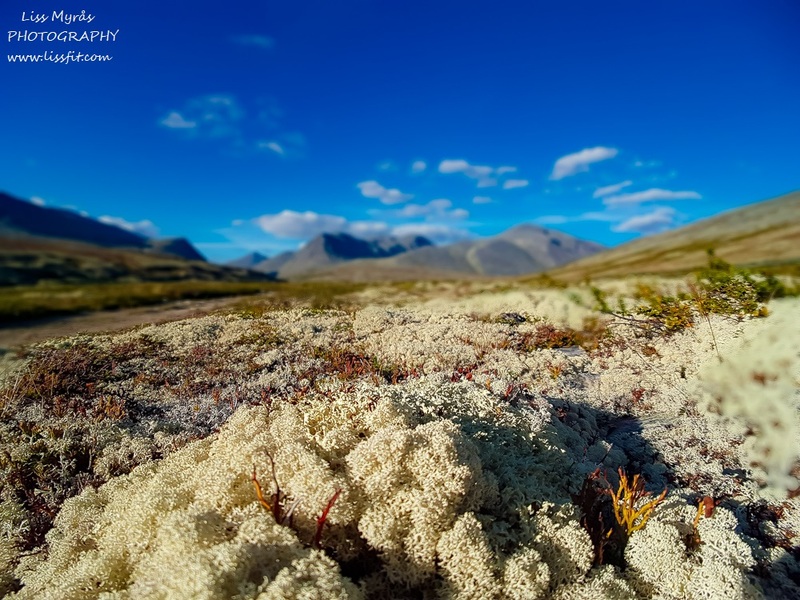 If you are really lucky you might spot wild reindeer in Rondane, but if not, just bear in mind to respect their fragile environments and food source – so beautiful isn’t it? 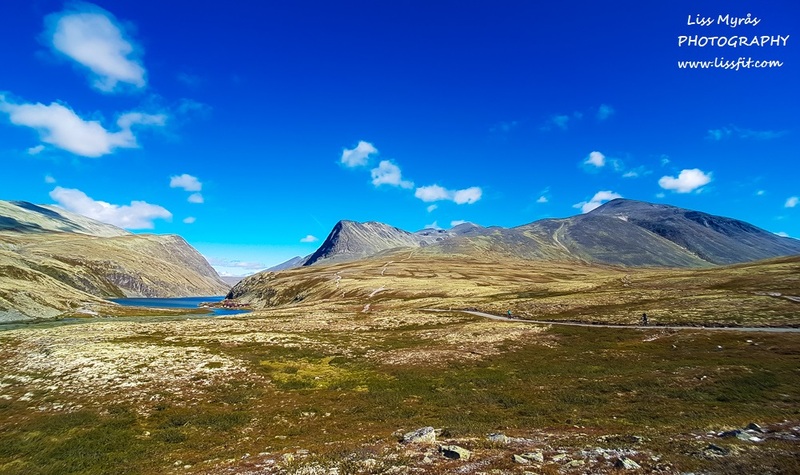 So, we did not know it yet, but sensed we where heading for a really wonderful day, starting with a sunny 2 km walk to the mountain bus departing from Mysusæter. 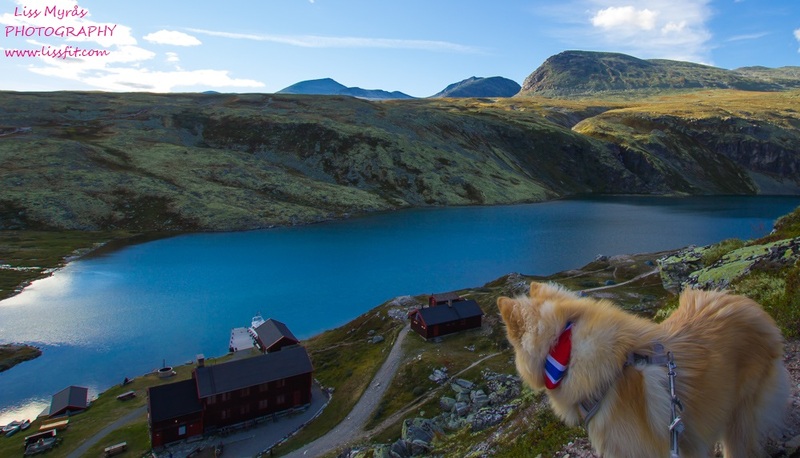 The bus took us to Spranget where we walked/hiked 6 beautiful km into Rondvassbu mountain lodge – where the trail up to Storronden starts. 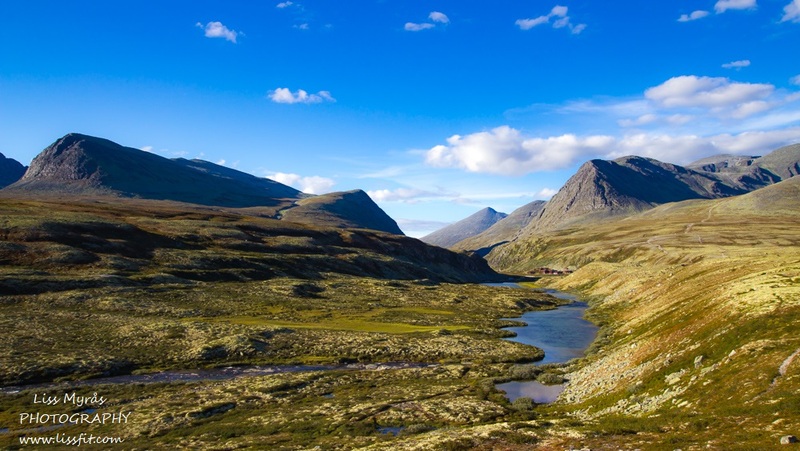 Spranget is the stopping point where the mountain bus arrives/departs a couple of times per day. From here you will have to walk/hike 6 km one way to Rondvassbu. You can also rent a bicycle from Spranget (also trailers) to shorten down some time, and leave the bike at Rondvassbu and walk back, or rent a bike from Rondvassbu back to Spranget again. Take a look at the photo below for prices and alternatives. 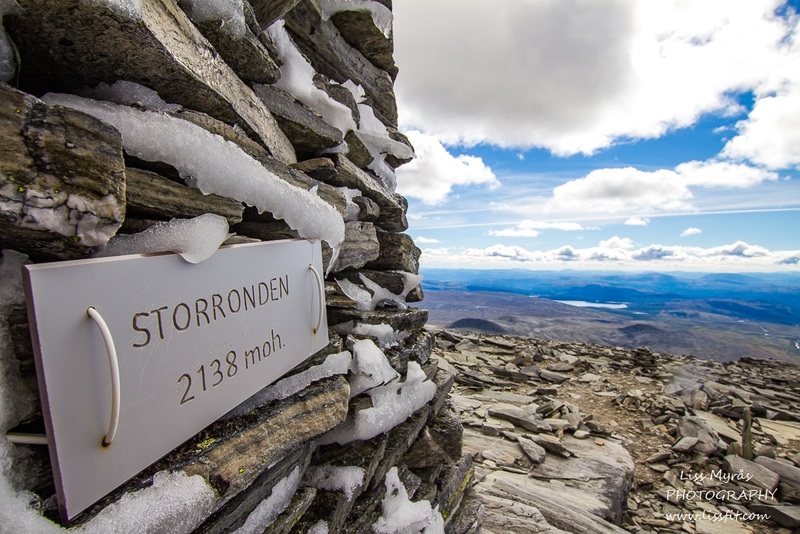 After a short break above Rondvassbu we started our ascent … the trail up to Storronden sure looks easy from a distance ..but I can tell you right now – it ain’t! The first person we met was on our way up was a man that had decided to quit and turn back, it was too hot, he was exhausted from his Per Gynt-hike the day before, and this trail just didn’t seem to end. 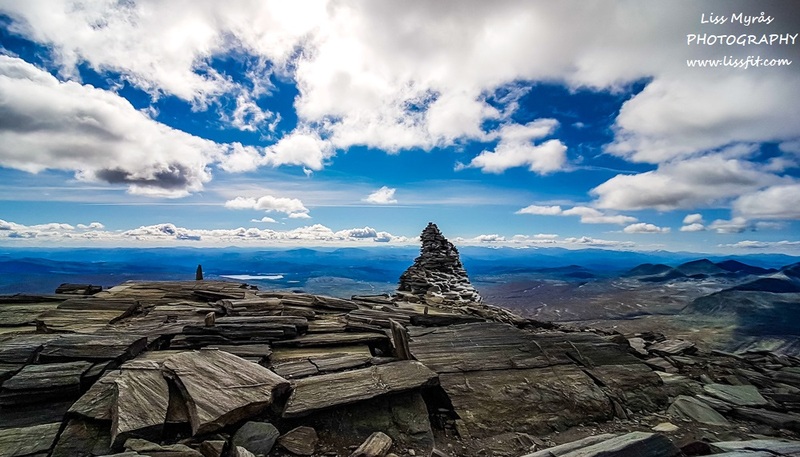 Finally we reached the frozen cairn! And we are here alone with this awesome view! Most of the trail is on scree and rocks, it is red-marked ok, but allows for some creative “short cuts”. On our way up we only met a couple of others descending, and finally up at the very top peak we where totally alone – for an hour! It was probable due to the exceptionally hot/dry summer the snake was up here to “chill” that very day. 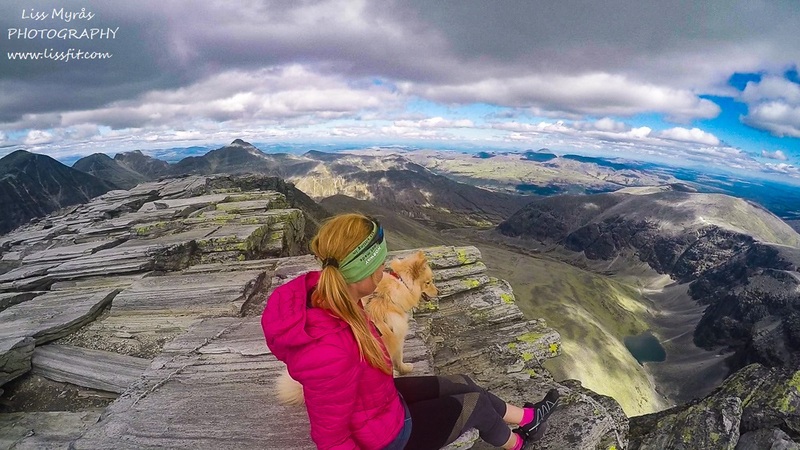 We enjoyed our lunch with a spectacular 360 degrees view, jumped curiously around on the very plateau, just remember be careful near the vertical drop area, there are cracks and loose slabs of rock here. We also did a tiny detour to the right wing of the top to see a bit more of Langbotn far down there somewhere. Looking down on Langbotn near the vertical drop area- be careful when you move among the slabs here, it sure is far down…. 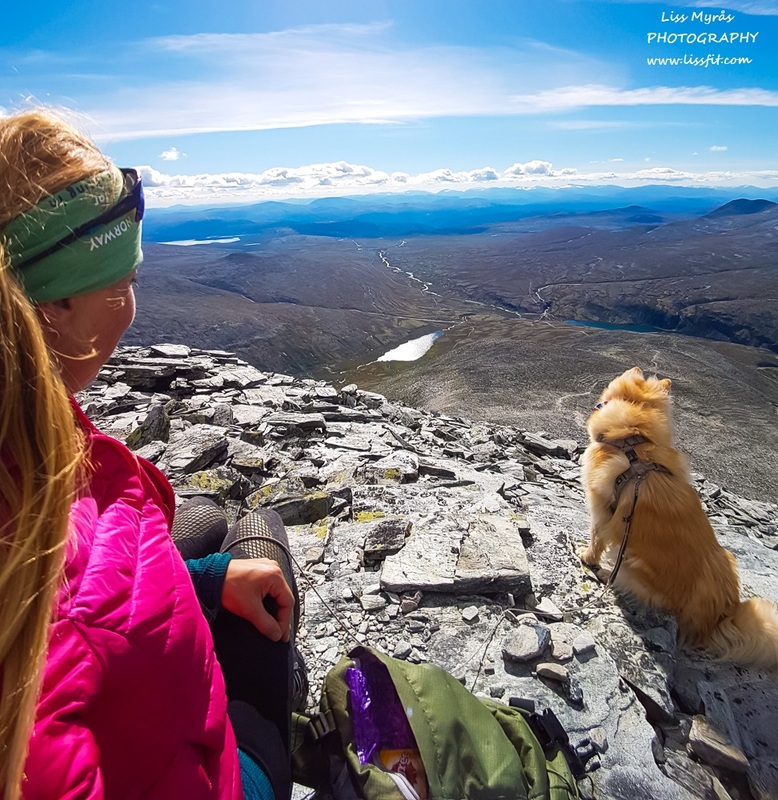 The descend was a little bit easier, I did not know before the day after from the newspapers, but the very same day someone encountered a huggorm (vipera berus) snake not farm from the frozen cairn up on Storronden..
After descending Storronden mountain we dropped by Rondvassbu lodge to enjoy an outdoor meal in the sun… we rested for a while (puppy in the shadows) since I knew we had to walk all the way back to our mountain pasture – so, additional 13 km walk was waiting us in the beautiful sunset! 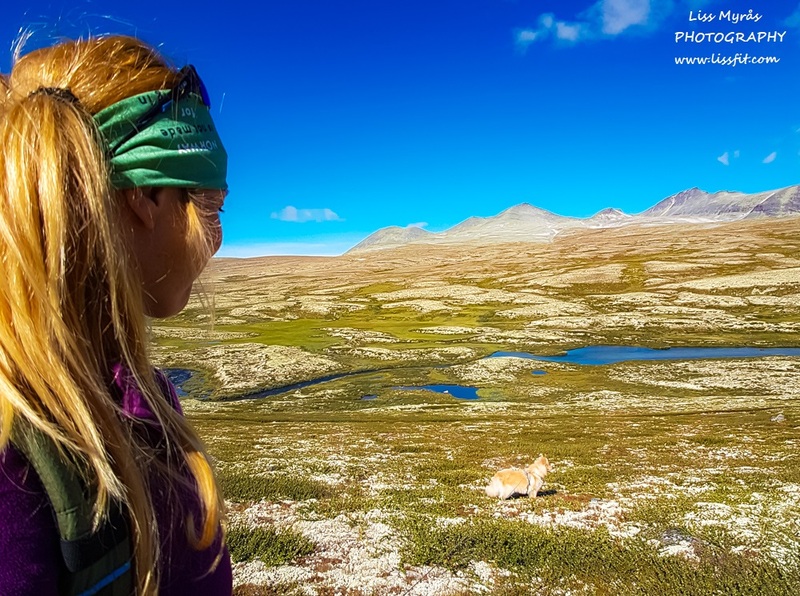 It was so beautiful to walk back on the parallel side trail, but oh so exhausting… in total me and puppy hiked 27 km that day (including Storronden hike)… well back in the cabin I made up the fire, cooked some food, anointing puppy’s paws (they where fine actually)… then we just snuggled through the evening still with stars in our eyes from that very awesome hike. 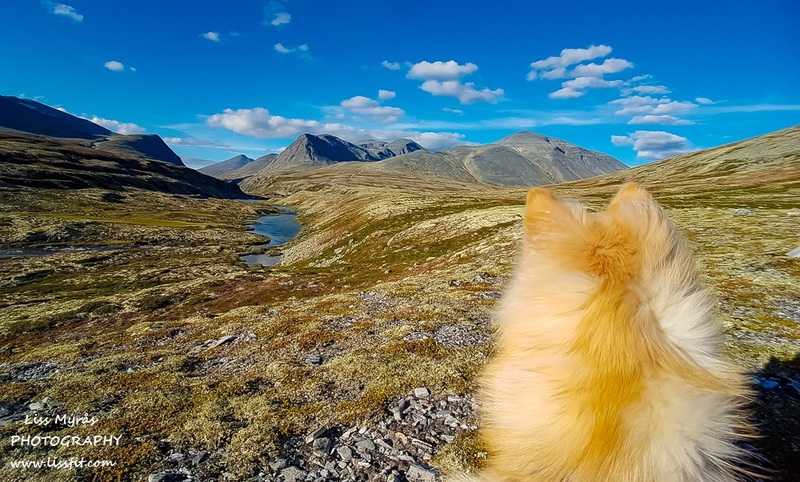 I am really grateful to have this dog by my side, she loves to be out and hike with me, she is full of love, affection, curiosity and beauty, so fun to be with, playful…and at times tough as a nail… If you are looking for a dog like this, I can warmly recommend the breed Finnish Lapphund. A fairy tale view when the sun is setting on our return ..the colours are really stunning… don’t you want to hike here one day?